Classic looks with a contemporary twist, this is a large imposing bird table which is better suited to larger gardens. 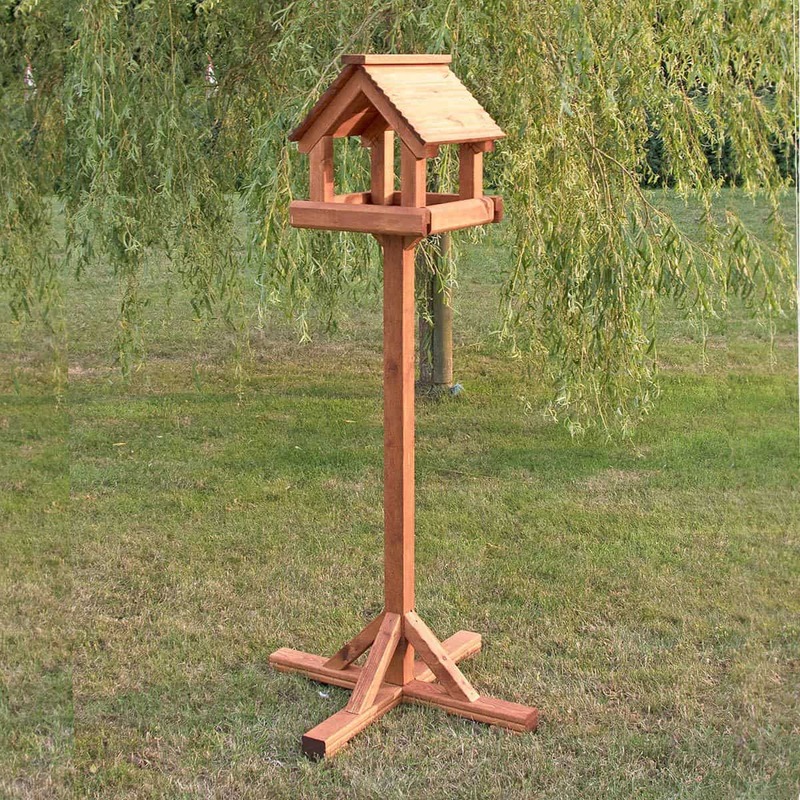 An attractive fluted roof and full open sides make this suitable for both large and small birds, and the strong and sturdy base will ensure it stays upright in winds. As with all our bird tables, this is treated with a long lasting weatherproof finish. I would love to purchase this please, but I need one with a drop down side so it can be brushed out easily. Could you do this and what would the extra cost be? Would it be possible to have the 1.5 mesh attached to this bird table also what would the price be? Hi it would be possible to put a cage around the premier large bird table the additional cost would £30 but if you look at the Premier Plus Cage Top Bird Table this might be suitable for your needs. Is the main upright in one piece or is it jointed in the middle and therefore comes in two sections? How much assembly is involved in putting together the bird table? If I was to buy a top only do you get the item as shown with a floor to it ready to fix onto our existing poll and supports? What are the dimensions of the prenier bird table? I would like to be able to have at least a foot of the main post sunk into the ground and then the stand to start. Are you able to build to this requirement?